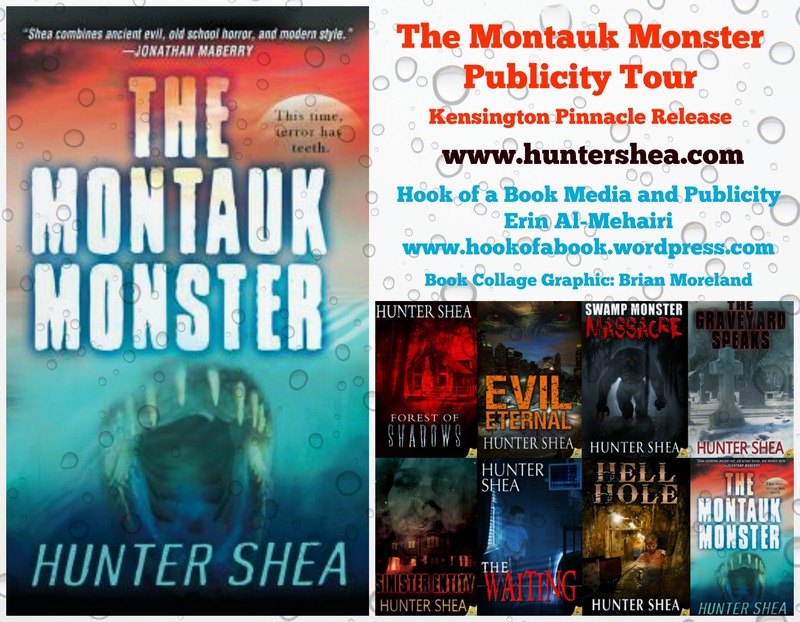 The Montauk Monster 2.0 Virtual Publicity Tour is Set to Party! As if the heat isn’t cranking up hot enough, we’ve put some more wood on the fire to flame The Montauk Monster‘s virtual publicity party! Are you ready to join the party? I could sure use a beer or two to cool me off on this crazy ride of book publishing. So the hottest summer party will be right in my court, peeps. Be sure not to miss any of the action. Last week we got The Montauk Monster 1.0 tour going with some great authors and friends whose blogs I’ve been visiting this June. You can view that initial list of stops HERE, though I’ll add them all to this list too so you can follow along however you wish. Be sure to take a peek at all their sites and books too. Thanks a bunch to everyone! Erin Al-Mehairi, my amazing publicist and first reader, good friend, and bundle of laughs, has spent time behind the scenes setting up for me the virtual tour for The Montauk Monster 2.0! Thank you for your rockin’ efforts, Erin! I’m certain if you lived a tad closer we’d be tipping back a few extra. We are stoked to give you an initial look at all the places you’ll want to be–it’s Monster approved! We’ll update the stops when more roll in, but we’ll update each website with the direct link to the appearance once it posts. Thanks to Kensington/Pinnacle for helping Erin and I to put all the books out to the publicity stops! If you Tweet, use the hastag #MontaukMonster. 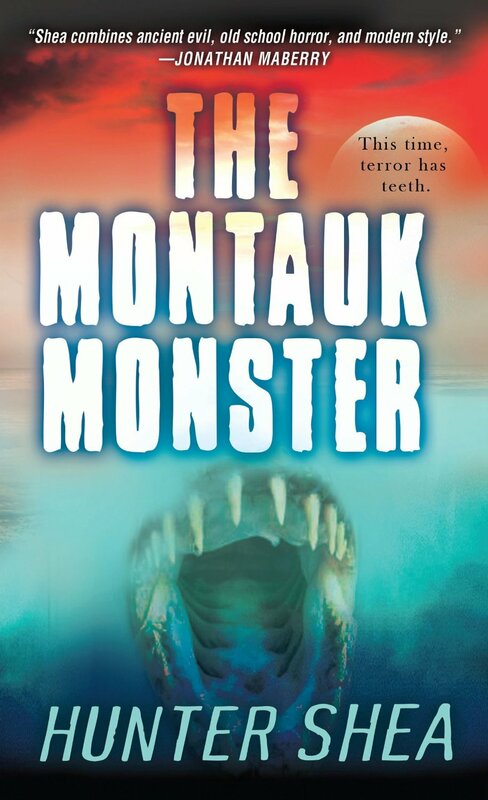 If you have a copy of the book, snap a pic, upload to Instagram, and also tag #MontaukMonster. We’ll keep track of the photos this way for a special promotion at the end of July! Shake, rattle, and roll!! Or to World Cup soccer fanatics, Ole! Talks about his live signing event and party in New York! READY FOR AUGUST: TBA soon! Want to join? If you’re late for the date, we’ll hold the monsters at bay. To join the tour, email Erin at hookofabook@hotmail.com or drop me a line so we can fit you in! The more the merrier! And don’t forget I’ll be at Scares that Care, which is a horror convention in VA raising money for charity, during the weekend of June 27-29! With every sunset the terror rises again, infecting residents with a virus no one can cure. The CDC can’t help them;FEMA can’t save them. But each savage attack brings Suffolk County Police Officer Gray Dalton one step closer to the shocking source of these unholy creations. Hidden on nearby Plum Island, a U.S. research facility has been running top-secret experiments. What they created was never meant to see the light of day. Now, a vacation paradise is going straight to hell.